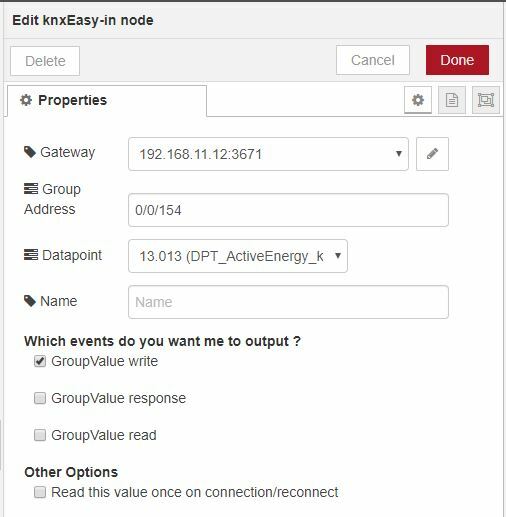 Simple Node-RED nodes for knx. The input and output nodes is used in a similar way as the built in mqtt nodes. Set Group-address and DPT in node config to subscribe to all messages with that destination and msg.payload will contain the value you want. Set up group address and select DPT in node configuration. Send your values using msg.payload This makes it simple to connect the output node directly to a slider or a switch.